Rarely do you find an Outstanding lot between two streets(West Ella and Benscics)so that you have no one on either side of you and no one in front of you. Near the greenbelt with green trees and views at the same time. 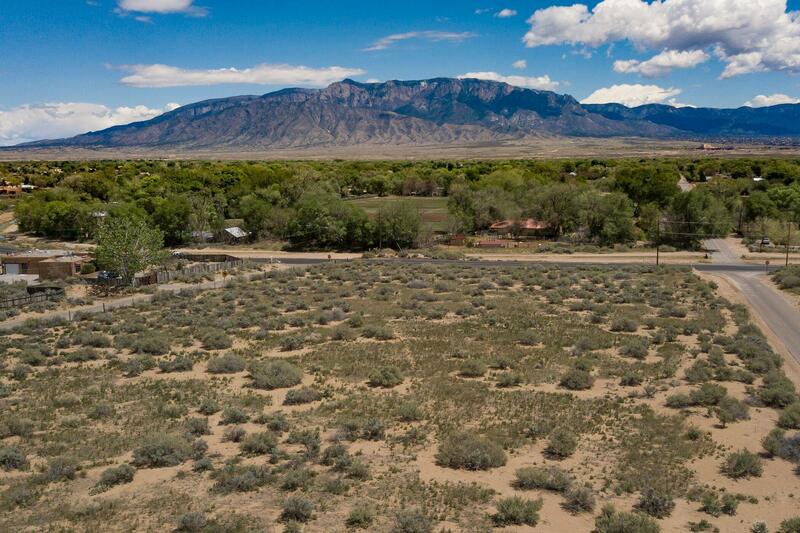 Located on the convenient south end of Corrales five minutes from shopping, restaurants, doctors, services and New Mexico's largest mall, Cottonwood Mall; yet in quiet, bucolic Corrales away from the hustle bustle of the city. You literally have the best of everything.